Interested in learning more or becoming a customer? Just fill in the info below and we'll be in touch shortly! SolaMesh is a popular line of shade sail fabrics, sold exclusively through Trivantage®. Tested in areas with extreme sun exposure, like the Middle East and Australia, the fabric brings lasting performance. Made from HDPE monofilament yarn, SolaMesh is dimensionally stable, UV resistant, and easy to maintain. A 118” width provides more coverage for larger projects. It works well in shade sails, custom awnings, and other tensile shade structures. Use the outdoor canopy fabric for patios, parks, playgrounds, and more. Choose from 19 color options, including Ocean Blue, Lime Green, and Sand. All fabrics are backed by a 10-year warranty. 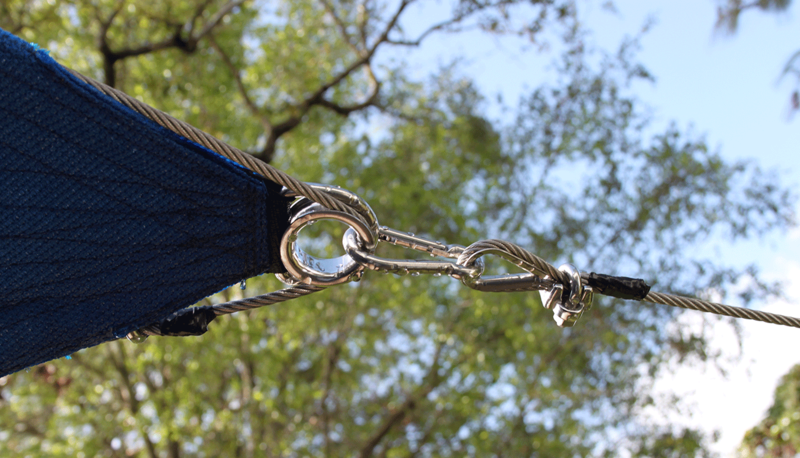 To complement the shade sail fabric, we also offer an extensive collection of SolaMesh hardware. Each part has been custom-made to pair with SolaMesh fabric. Forged from stainless steel 316, the hardware is durable, weather-resistant, and sturdy under tension. Built to fit a variety of shading structures, the lifting and rigging supplies are available in three sizing options. Find all the nuts and bolts you need, including bow shackles, heavy-duty dee rings, triangles, spring hooks, turnbuckles, thimbles, mounting plates, wire rope, connectors, and more.